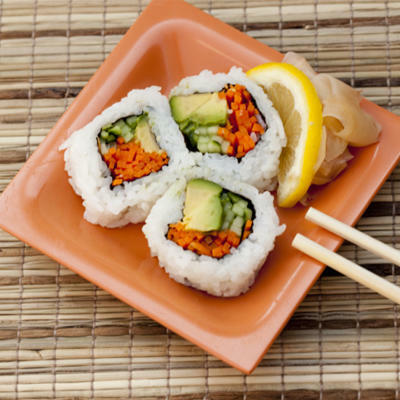 Are you ordering your sushi rolls the healthy way? Nutritionists weigh in! 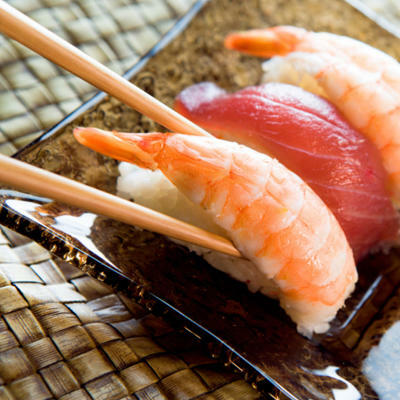 Carol Ann Rinzler, author of Nutrition for Dummies, points out that sushi is the very definition of a low-fat meal (as are fresh oysters and clams). But if you’re not eating it the right way, it’s not low-fat at all. 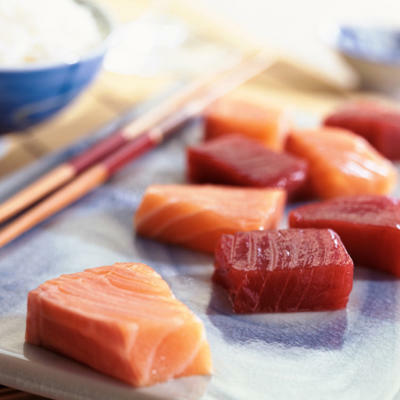 “To maximize the benefits [of sushi], choose pieces that are rich in omega-3s, the unsaturated fats that protect the heart and boost brain power,” Rinzler says. 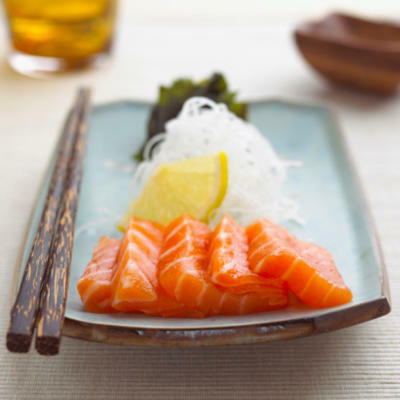 She suggests salmon and tuna, two of the healthiest sushi rolls to order, which are both low-calorie (40 calories per ounce for the salmon and 42 for the tuna), high in protein and omega-3s, and also deliver a big dose of vitamin D, a key nutrient in fat loss. 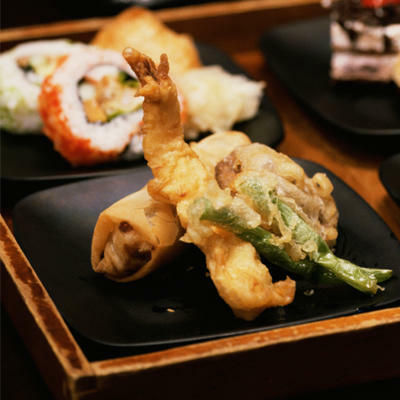 Margaux J. Rathbun, certified nutritional therapy practitioner and creator of nutrition website Authentic Self Wellness, says to stay away from the “crunchy rolls” that have been deep-fried to get that golden crust. “The less fancy the roll, the better,” Rathbun adds. 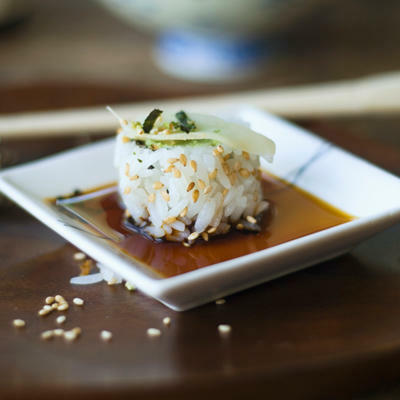 Ask for brown rice sushi instead of regular white rice, Rathbun says. “There are ample amounts of fiber in brown rice, which is important for maintaining healthy digestion and regular bowel movements. 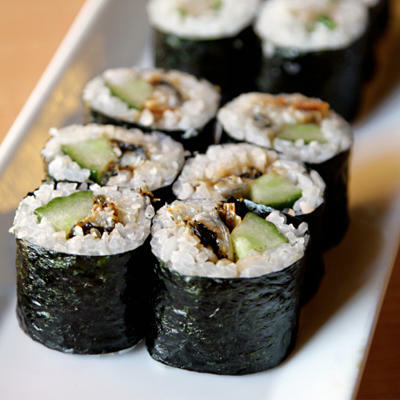 Brown rice is also a great source of manganese, selenium, and magnesium,” she adds. 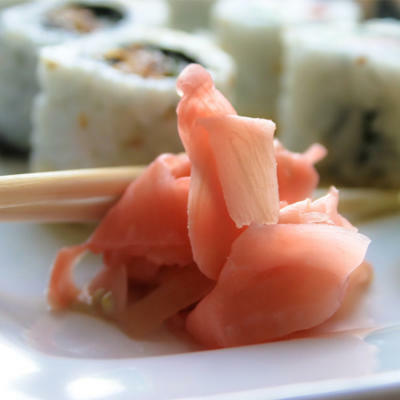 Katie Clark, registered dietitian in San Diego and blogger of FiberIstheFuture.com, advises sushi diners to ask for reduced-sodium soy sauce, but keep in mind that it isn’t “low” sodium. It’s simply 25 percent less salt than regular soy sauce. 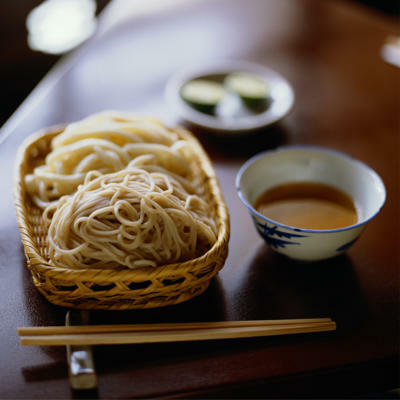 Using chopsticks—if you’re not super-skilled, that is—may help you eat more slowly than shoveling food in with the very-easy-to-use fork or spoon, Clark says. Pacing yourself by eating mindfully is the best way to actually feel full, stimulate healthy digestion, and enjoy your food the most. You know those delicious special rolls covered in creamy sauce? Don’t get those. 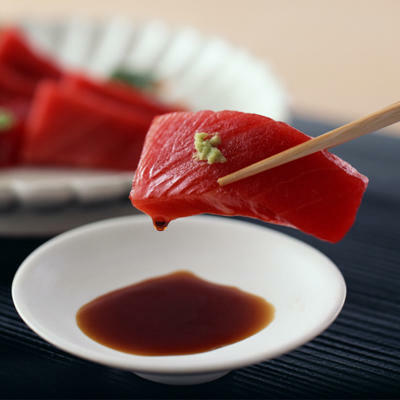 “Ask for items that have no mayonnaise or cream cheese fillings, which isn’t traditional sushi anyway,” Clark says. 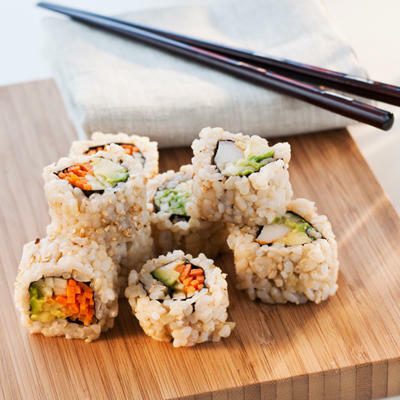 Janel Ovrut Funk, a Boston-based registered dietitian and blogger of EatWellWithJanel.com, reminds that each sushi roll has about one cup of white rice in it, which can add up to a lot of extra calories (one cup has about 200 calories) if you’re eating multiple rolls. 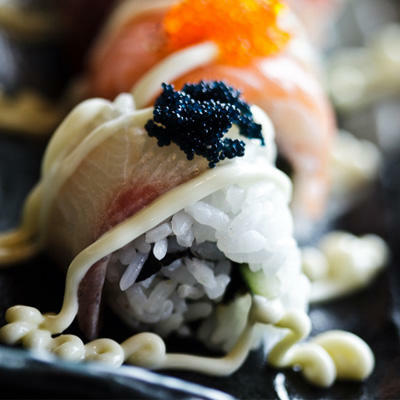 Go for sashimi (pieces of raw fish without rice) over maki sushi, which has the fish rolled into rice and seaweed. Start with a miso soup before sushi. It can actually help fill you up on the hot broth without a significant number of calories. 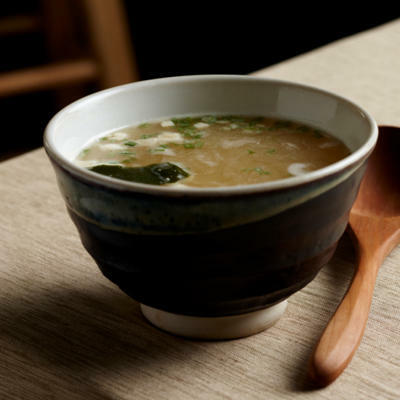 A cup of miso soup has less than 75 calories, according to Ovrut Funk. 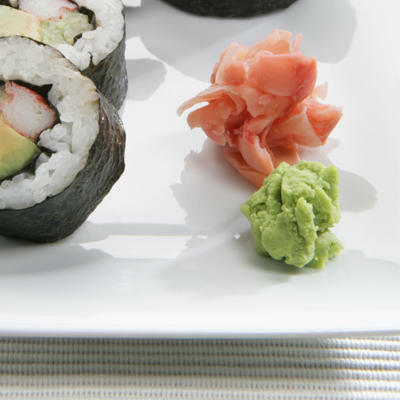 Be the first to comment on "The Healthiest Sushi Rolls to Order"